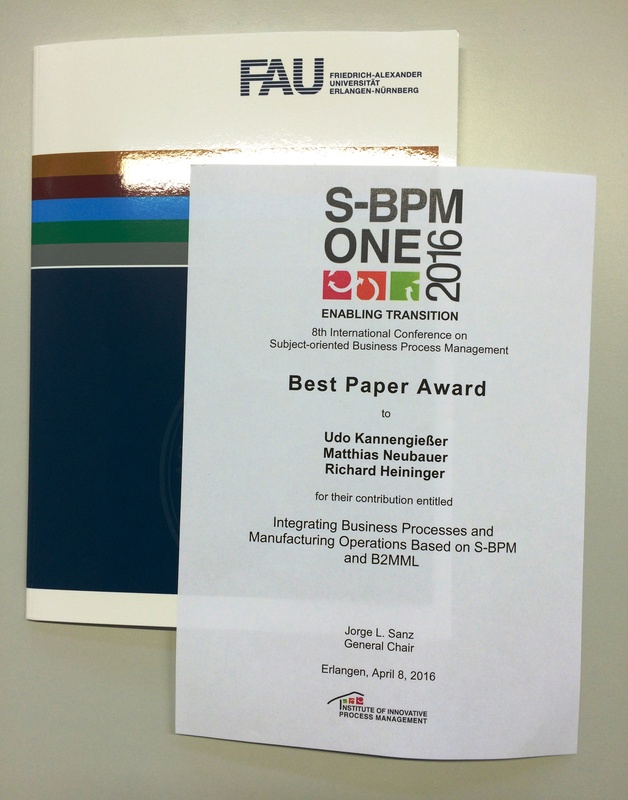 The contribution entitled “Integrating Business Processes and Manufacturing Operations based on S-BPM and B2MML”, which was written by Metasonic and JKU reseach staff in context of SO-PC-Pro received the Best Paper Award at the conference. The 8th International Conference on Subject-Oriented Business Process Management took place on April, 7-8, 2016 at the, University of Erlangen-Nuremberg, Germany. 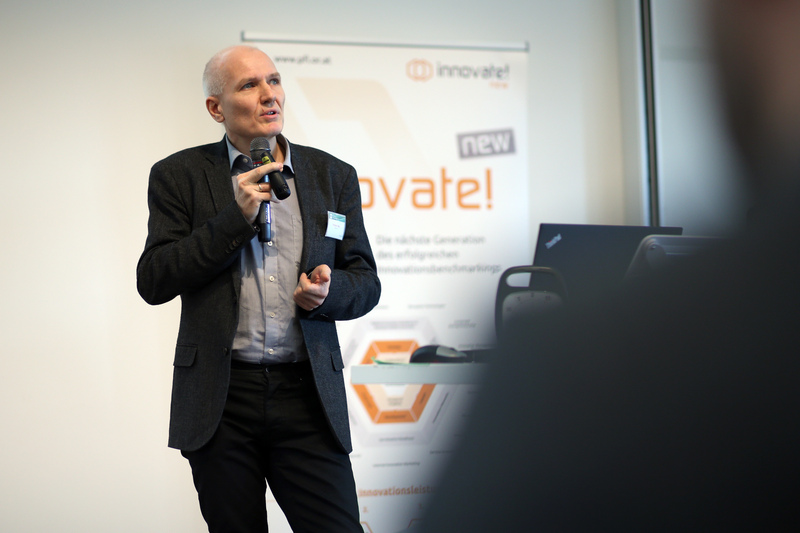 On the 24th of February Fronius International hosted the 51st Innovationpool which was organized by the “Plattform für Innovationsmanagement”. The Topic has been “Agile Methods for Product Development”. 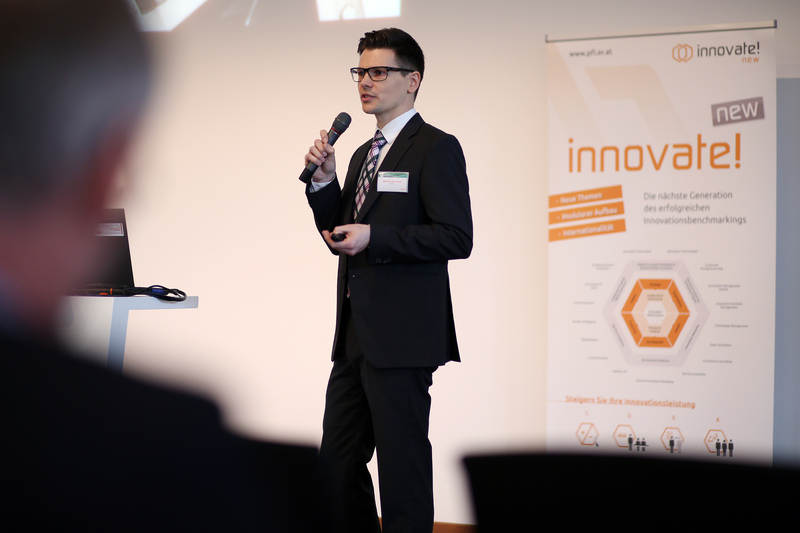 Chris Stary and Matthias Neubauer reported on their experiences within SO-PC-Pro related to the application of suject orientation in order to analyze, model, validate and execute human-centric production processes. SO-PC-Pro project won the Olivetti Award 2015, Franco Cesaro accepted the price on behalf of the consortium, as owner of C&A and member of the project consortium. MA Systems presented the Bioring and related technologies at the INNOVATE 2015 conference (https://www.events.ukti.gov.uk/innovate-uk-2015/) held in London (Old Billingsgate) on the 9-10 November kicking off UKTI’s Export Week. 17.9.2015 – SO-PC-Pro meets Facts4Workers @ Virtual Vehicle in Graz, Austria. Cross-cutting issues were discussed and potential joint publication activities planned. Early in 2015 the foundational ideas of the SO-PC-Pro approach (including stakeholder involvement and seamless integration/execution of processes) were generalised by Metasonic and formulated as a draft “manifesto for agile BPM”. 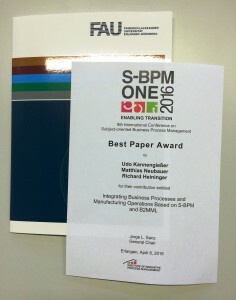 This manifesto was proposed and discussed in a session at BPM 2015, the principal conference for business process management, with an invited panel of 5 senior researchers and practitioners in that area (http://bpm2015.q-e.at/panel/) and an audience of about 60 people. 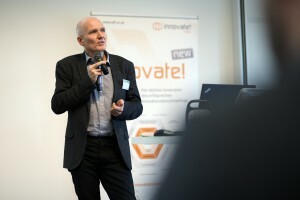 This panel led to the founding of an interest group for agile BPM at the Institute of Innovative Process Management (http://www.i2pm.net/interest-groups/agile).